The first time my mom came home from Europe she brought a new favorite treat, a Bounty Bar. She loved it because it was like Mounds bars, but in milk chocolate instead of dark (I prefer the dark chocolate). But since she can’t rush off to Europe every time she craves one I set out to make a good substitute! 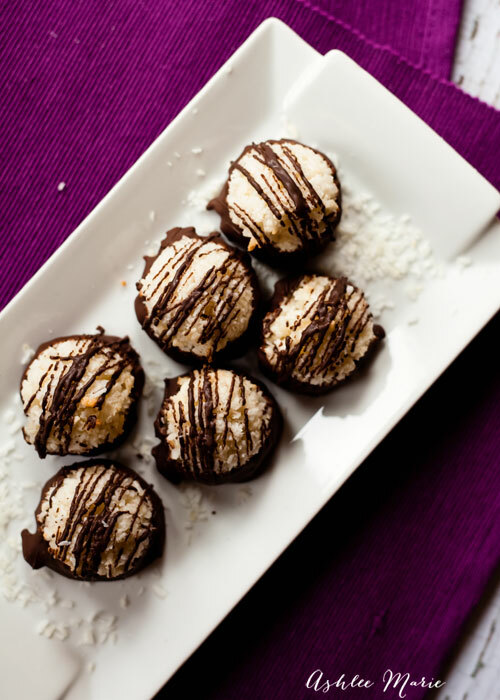 These coconut macaroons are great by themselves, better in chocolate and even better dipped completely in chocolate (although not quite as pretty). 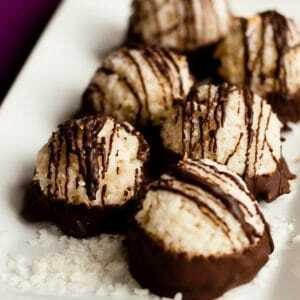 Use milk or dark chocolate and if you love Almond Joy’s add an almond to the top before dipping!!! The key is to use SHREDDED coconut, not the string sweetened coconut you get at the grocery store. 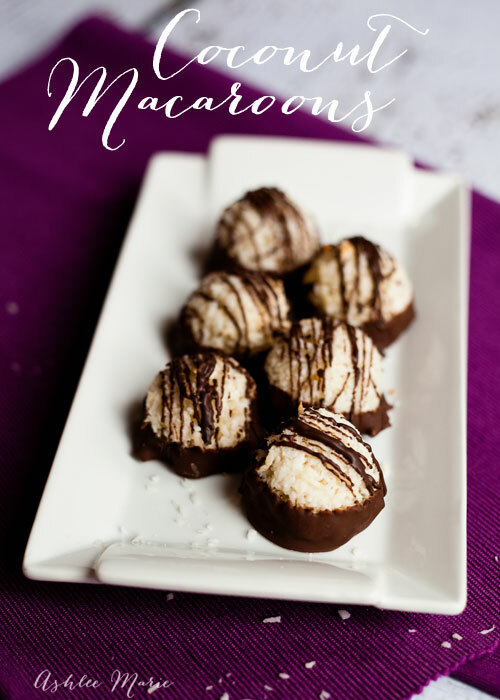 I once used the sweetened coconut and while it tasted great with the extra sweetness it didn’t stay together and didn’t hold it’s shape at ALL. 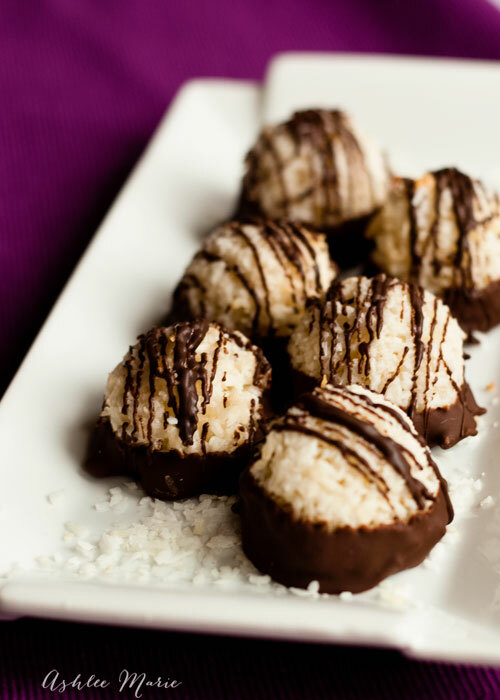 Now you CAN use the sweetened coconut IF you take the time to run it through a food processor to create your own shredded coconut! Vigorously whisk the sugar, egg whites and flour. Scoop tablespoon mounds onto cookie sheets with parchment paper (I use a small scoop). Easy peasy! I like to use small scoops to create these cute mounds but you can flatten them a bit if you want or of course use a larger (or smaller) scoop as well. Personally I like small bitesized treats, better chocolate ratio too! What is YOUR favorite candy bar? And have you ever tried to make it at home?